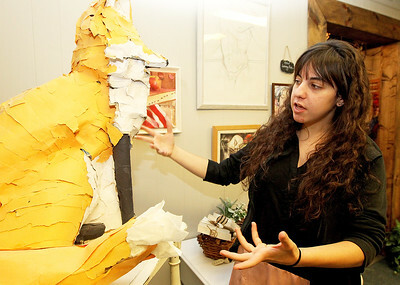 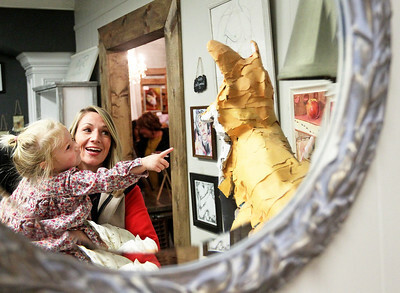 Candace H. Johnson-For Shaw Media Lena Woltzen, 2, of Gurnee and her mother, Katie, look at a fox sculpture made with recycled materials by the Grayslake artist, Lainy Rae, during the new gallery opening called Gallery 83 at Summers Boutique on Route 83 in Grayslake. 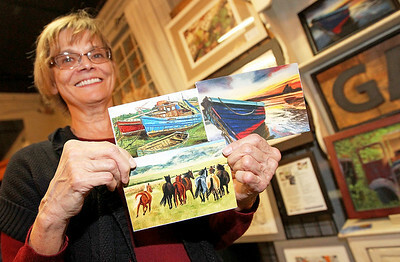 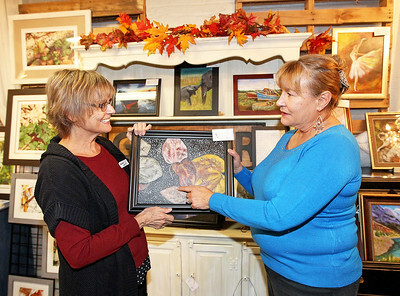 Candace H. Johnson-For Shaw Media Debbie Kalinowski, of Lake Villa shows off the magnets she was selling of her artwork during the new gallery opening called Gallery 83 at Summers Boutique on Route 83 in Grayslake. 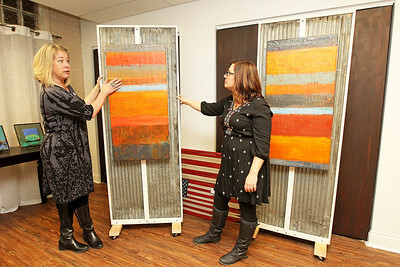 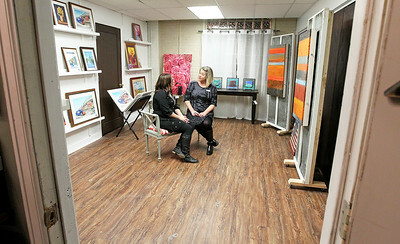 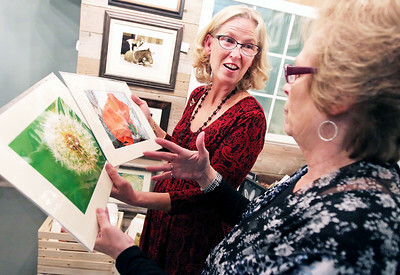 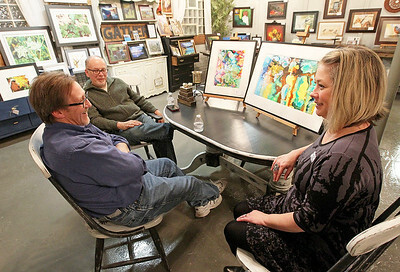 Candace H. Johnson-For Shaw Media Alison Bonner, of Island Lake, co-owner, talks with Michelle O'Connor, of Gurnee, curator, as they sit in the Gallery 83 space during the new gallery opening at Summers Boutique on Route 83 in Grayslake.